Lush invented this mask for younger skins and for those who are new to face masks and want to use something that’s cheerful and cheeky but still effective and good at its job. The serious side of this mask has linseed infusion to nourish and soften the skin, fresh mint for toning, cocoa butter to moisturise and rhassoul mud to absorb grease and give a deep cleanse. The lighthearted side of this mask has cocoa powder, vanilla absolute and spearmint oil - because Lush wanted this to bring all the comfort of a chocolate bar. Well, a chocolate bar that doesn’t cause spots, of course! This mask was invented by Mo, when her teenage daughter had started to have gangs of friends to the house for sleepovers. They wanted to have pamper sessions but found most of the face masks a bit serious and odd-smelling for their teenage tastes. So Mo wanted to pack some serious ingredients into a lighthearted base that was more user friendly. What she came up with is great for teenagers - but lovely for the rest of us too. I love the smell of this mask. It is very effective on my skin and makes it fresh and full with energy. Need to keep it in the fridge, so sometimes I forgot it. the smell is awful! i physically felt ill when using this! I am a huge lover of all things lush and decided to try this face mask the last time i visited a store. The reviews are really good so thought id give it a try. on opening the pot the smell was awful. i cannot even describe it to you! its suppost to smell like chocolate i believe but i didnt get that, its weirdly floral with a dark undertone? its just too weird for me and made me feel ill. In the shop the various facemasks are in big stainless steel bowls on ice and presented with fresh items that are in the actual facemask as garnish; so this one usually has some cocoa beans and vanilla pods on it as garnish. The face packs are made fresh and sent to each shop weekly from the factory in Dorset . As these are made with fresh ingredients they have a limited life and must be stored in the fridge. I have once had two face packs as I was given one in the shop and because we were just about to go on holiday I stuck it in the freezer. We were away about four weeks and when I returned I retrieved my face pack and it was absolutely fine, it lasted another six weeks in the fridge and smelled great and I used it once a week for the six weeks. So don’t worry too much about the keeping aspect as they do last a fair time if kept in the fridge and used with clean fingers or a spoon to get the stuff out. One of the best parts about these face masks is that you can get them FREE providing you bring back five clean empty Lush black pots or their solid perfume cases. I think this is such a wonderful way to encourage recycling as everyone benefits. The face masks all come in a small back recyclable pot and you get 75g in the pot. The cost if you buy it is £5.75 which is quite expensive but I don’t think I have bought one for quite a while as I have had free ones through bringing back my black pots. The actual face mask is very thick rather like a paste, thick mud texture and not at all runny. In fact if you have had it for a while it can become a little thicker and drier so I find as I am spreading it on my face I add a bit of water to smooth it on more easily. The smell is to die for; a combination of plain chocolate and sandalwood and just wonderful. I think Yankee should try and create a candle with this scent as it really is the nicest of all the face masks for smell in my opinion. It feels smooth but with a very slight gritty texture that I am assuming comes from the rhassoul mud as nothing else in the ingredients would give this texture. I have been taught by the Lush team exactly how to use my fresh face masks as I had a special face mask making facial in their shop, in fact I went twice it was so good. Firstly you need to cleanse your face using whatever cleanser suits your face type. 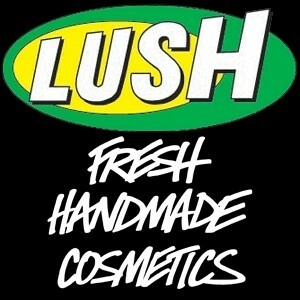 I like’9 to 5 from Lush but what ever you normally use will do. The next stage is one I was advised to add by the girl in the Lush shop one day and that is to give my face a feed with a serum and the one I use is a great little bar of serum called ‘Full of Grace’. This ensures that your face doesn’t get too dried out and feeds it while you are having the facemask. Then open the pot of facemask and spread it all over your face except around the eyes. As I said I find sometimes the face mask can become a bit thick when it has been kept a while so I help it by wetting my hands to smooth it on. According to Lush you shouldn’t let it go completely dry and crusty before washing it off but I leave mine until dry as I usually get in the bath and lie there. If it does get dry then it doesn’t matter as I can use lots of water to gently wash it off. Prior to washing this one off though I make use of the slightly gritty mud in the facepack to gently exfoliate my skin as I wash it off. I then get out of the bath and dry myself patting my face dry before I reach for the toner to close those pores and then of course moisturise as for night or day depending on when you use it. Because the mask is kept in the fridge it always feels refreshing and cold as I apply the mask and I don’t paste it on very thickly as there is no need. As i apply this the smell is just wonderful, it is almost like a perfume but if you don’t like sandalwood then you may not like it. As I lie in the bath I can smell the exotic sandalwood slightly spicy aroma which I love. I can also feel the cooling of the mint and the smell combines with the chocolate and sandalwood to create that wonderful unique aroma. I love this part as really relax and lie back and sniff. I enjoy the gentle exfoliation and afterwards I find my skin feels very soft and quite fresh too. The fine lines and wrinkles are obviously still there but my skin just looks fresher and I feel like I have had a deep clean too. I am past the age when I suffer from spots but I do think that the mint and lovely mud have helped to clean my pores and they look less big and open. I know this is not really a face mask aimed at older skin but the smell is so wonderful that I think i will be buying it again. I tend to use this one on my T-zone and the more skin feeding ones on my cheeks. Yes I love this one as it is has the most amazing aroma for a face mask and the rhassoul mud helps to exfoliates the skin too. It does make my skin feel awake and alive so I am happy. I am especially happy as it was free although it does cost £5.75 if you don’t have five pots to hand back. This is still quite good value as easily get six uses from this little pot as you don’t need to cake it on thickly and if you use my trick of wet hands it goes on really smoothly. Smells wonderful and even tastes ok when licked!! This face mask as I said is aimed at younger skins but actually there is nothing that is going to cause any problem to any sort of skin. 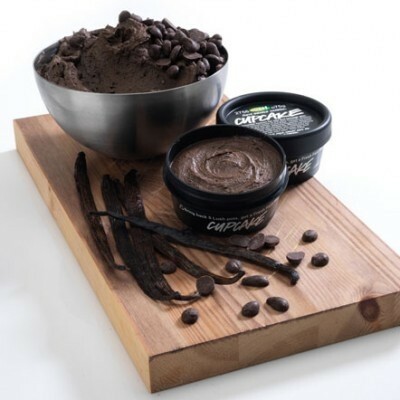 It is a really dark mud or plain chocolate colour and the main beneficial ingredients in this one are a linseed infusion to nourish and soften the skin, fresh mint for toning, cocoa butter to moisturise and rhassoul mud to absorb grease and give a deep cleanse. So it can actually be used by anyone as it is not a harsh astringent type de greaser at all.